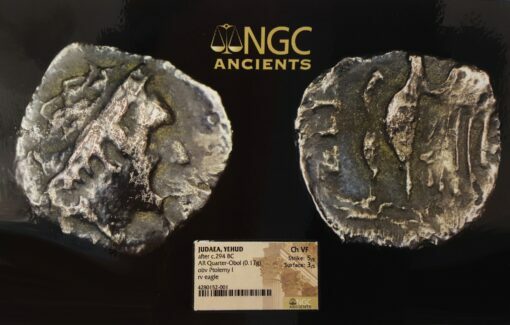 Silver Quarter Obol, 0.17 g., 7 mm. Obv. Diademed head of Ptolemy I right. Rev. 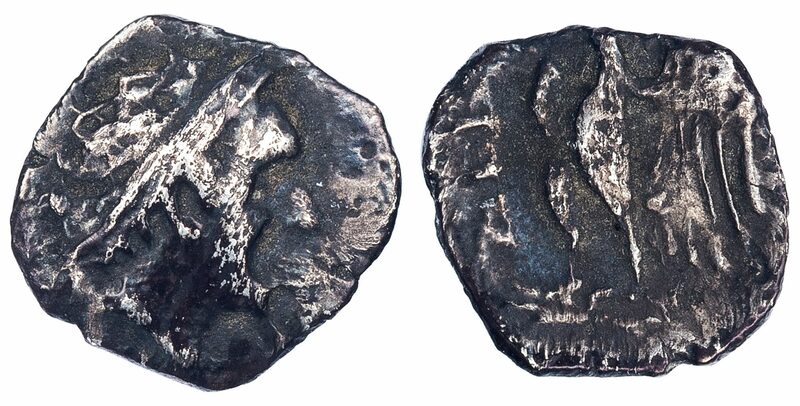 (YEHUD), Eagle with spread wings standing left; to left. Meshorer 32; Mildenberg, Yehud pl. 21, 24; Hendin 438. NGC photo cert graded CHOICE VF, Strike 5/5, Surface 3/5, with an exceptional portrait and most of the Yehud legend present.